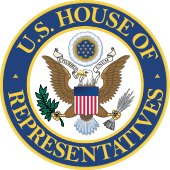 The U.S. House of Representatives has signed the action to repeal FCC regulations concerning user privacy. Both the House and Senate have now voted to allow ISPs to sell the personal data of their customers. The measure will go before President Trump, who is expected to sign the bill into action. Confirming a controversial decision made by the United States Senate a few days ago, the U.S. House of Representatives approved a resolution that repeals FCC privacy regulations concerning citizens’ internet browsing data. The FCC passed rules last year that mandated internet service providers (ISPs) ask permission from users prior to selling any “sensitive data,” such as browsing history. These resolutions were hailed by privacy advocates as a fantastic move that aimed to protect the privacy of U.S. citizens, something that’s become quite a hot topic over the past few years. The vote in the House concerns removing these regulations and repealing the mandate on ISPs. This measure, which passed by a slim margin of 215 to 205, will now go to president Donald Trump for his signature. Most experts agree that Trump will sign the bill into law and completely discard the FCC regulations. The fear of many is that ISPs will now have unfettered access to their customers’ personal information and browsing history, which will then be sold for profit to advertisers and marketing firms, all without the customer consent or knowledge. FCC Chairman Ajit Pai, who recently assumed the position under President Trump, said that “the FCC will work with the FTC [Federal Trade Commission] to ensure that consumers’ online privacy is protected through a consistent and comprehensive framework.” The telecom industry celebrated the vote, as they feel that the prior FCC regulations kept them from competing with companies like Google and Facebook to sell and profit off user information. It should be noted that these statements ignore the fact that ISPs could sell customer information provided they obtained consent first. This also ignores the fact that the ISP industry has arguably become a large oligopoly; many internet users typically have one or two choices of ISP. We’ll have to wait and see what ISPs will do should the bill get signed. If you live in the United States, though, now may be the time to sign up for a VPN service. I've been a "tech-head" my entire life. After graduating college with a degree in Mathematics, I worked in finance and banking a few years before taking a job as a Systems Analyst for my local school district. I started working with Notebookcheck in October of 2016 and have enjoyed writing news articles and notebook reviews. My areas of interest include the business side of technology, retro gaming, Linux, and innovative gadgets. When I'm not hunched over an electronic device or writing code for a new database, I'm either outside with my family, playing a decade-old video game, or sitting behind a drum set.